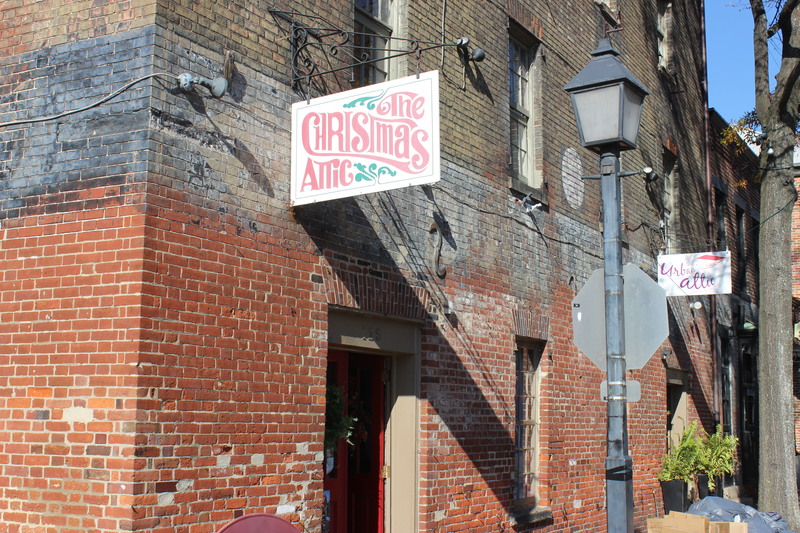 In the early 1970’s Nita Whitesel opened The Christmas Attic above her husband’s frame shop at 125 South Union Street in Old Town Alexandria. There were a lot of galleries in Old Town back in those days and a frame shop was a good idea…buy a painting and go next door to have it framed. Over time the galleries became fewer and business began to slow but The Christmas Attic was becoming very popular. Nita and her family loved the spirit and joy of the holidays and she had been collecting Christmas ornaments her whole life, a tradition shared with her daughters, so she brought this spirit and excitement to her new enterprise. Her desire was to have a Christmas store that was open year round, and The Christmas Attic would be it. When I came to Old Town in 1977 and eventually started the Old Town Crier, Nita was hard to miss. She was active in almost every committee, as Old Town became one of the most popular destinations in the 80’s. She was a mentor to everyone and a supporter of all. Under her leadership the business began to grow rapidly. Soon the frame shop was gone and The Christmas Attic consumed two floors. As the hay days of the 80’s ran wild, The Christmas Attic opened three more stores – Norfolk, Virginia Beach and a second store in Old Town. These stores also flourished and about this time Nita’s daughters, Cheri and Fay, were graduating college and began to take an active roll in the business. Everyone in Old Town knew and loved this close- knit family and the holiday magic their stores brought year-round. As the retail climate began to change in the late 90’s and competition grew, the Christmas Attic stores evolved with the times. Then in 2006 disaster struck. Nita was diagnosed with a brain tumor and although she made a valiant effort she succumbed to her illness shortly thereafter. With the loss of their mother and growing families, the sisters had some hard decisions ahead. After serious discussions they realized that a mega business was not what they wanted. With some long term employees retiring, it seemed the right time to down size and return to their roots and have more time with their families. With their employees in mind, Fay and Cheri began the painful task of closing the satellite stores. From 2006 to 2014, Cheri and Fay carried on their mother’s dream and managed The Christmas Attic together. During this time period the pair also opened up The Urban Attic, a home goods store to compliment The Christmas Attic. In 2006, Fay’s son Chris came on board to help with the accounting and was made store manager a few years later. Chris took over all of the bookkeeping chores and began running the store with his mom in 2014 when Cheri moved away from the business. After a year of running the operation together, Fay embarked on a new career in real estate sales. Today Chris and Fay remain partners with Chris as the operating partner. “When God closes a door, he opens a window.” This phrase was no more evident than when Fay’s son Chris, decided he would like to be involved in the business. Cheri had moved in a different direction and Fay welcomed the enthusiasm that her son brought to the business. As senior employees began moving away from the store, Chris brought in new staff to help with his vision, including Claire a store manager with a Design Merchandising Degree. The new vision and excitement became contagious. The diversification has led to a new profit center and the company is now looking into the potential of online sales. Though the business climate has drastically changed since the 80’s, the practices of retail business changed as well. However, the more we change, the more we remain the same. Chris has already followed in his grandmother’s footsteps as he is on the Board of Directors of the Old Town Boutique District. If this is any indication of the future…the future is bright. For over thirty-five years, this store has been considered a “must see” by locals and tourists alike. Check out their newest seasonal wonders as well as the thoughtfully handpicked items for every holiday and special occasion. 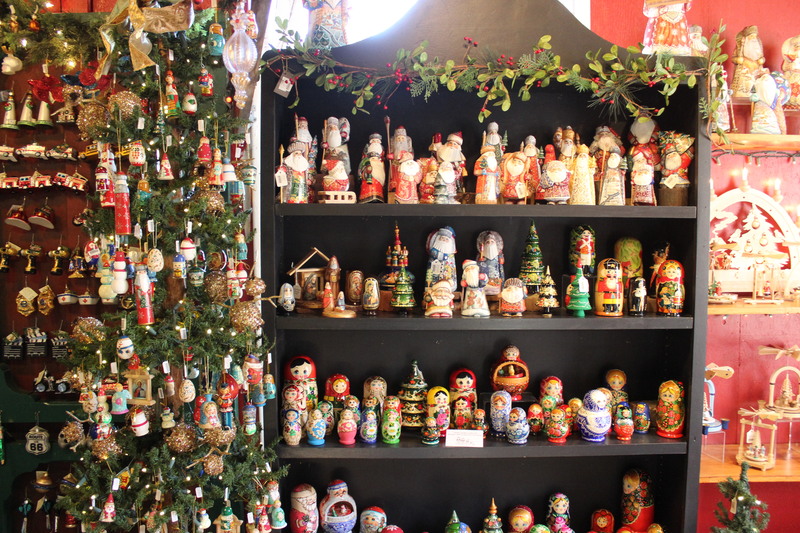 They specialize in hard-to-find, unique items including European hand-blown glass, locally designed souvenirs, Italian nativity scenes, snow-covered village houses, German collectibles as well as angels, Santas, snowmen and nutcrackers. The Urban Attic stocks a wide selection of everyday gifts, books and accessories plus a fun, funky wine selection. 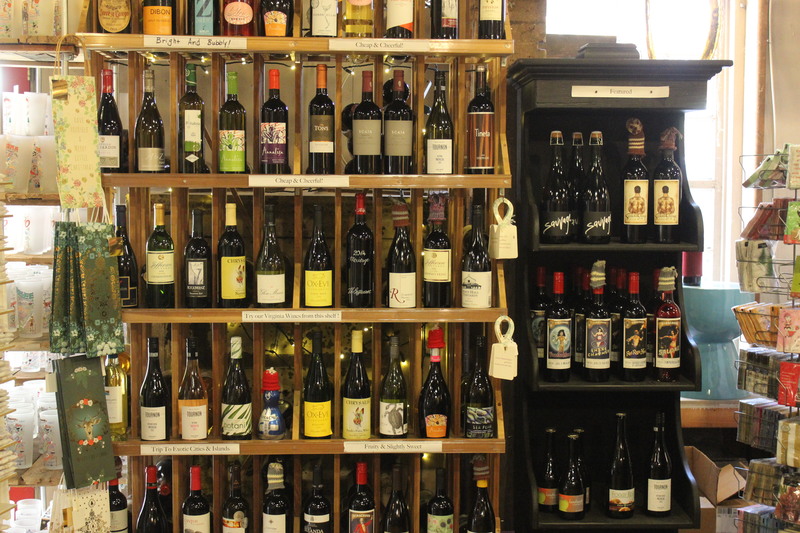 What I like about this wine selection is that they offer a number of great Virginia wines. Give them a try. It is a magical thing in these times to see a business stay in the family, but that is what the Christmas Attic has always been about.